This thinner version of the Dwarf Craft 3'6" is a treat for experienced foilers who want a super light, minimalist setup they can take just about anywhere and do anything with. The Dwarfcraft 3'6" is already a minimalist setup, but after experimenting with a thinner version, our testers and team riders told us it was lighter, more responsive and gives them a more direct, connected feel to the foil and the water. At the advanced level, the decrease in weight and distance between feet and foil makes a noticeable difference in feel and performance and is just another tweak that helps take the sport to new heights. 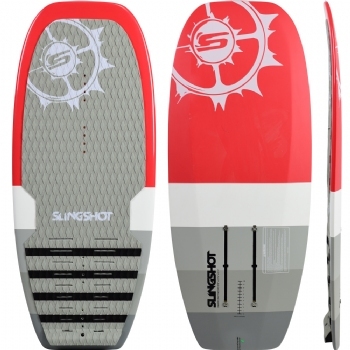 The Dwarf Craft 3'6" Micro is a compact and agile freeride foil board. A wide, scooped nose helps rebound off the water when touching down and a moderately concaved deck gives a fast and responsive feel with subtle movements and shifts of weight. 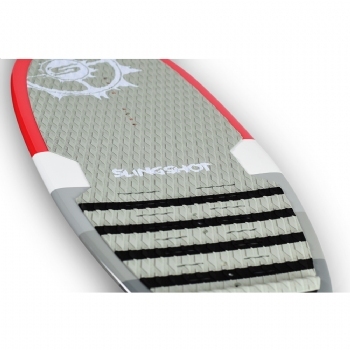 A full deck pad lets you ride the board strapless, with foot hooks or with two or three straps, depending on personal preference. An aggressively beveled bottom profile gives the board ideal performance on edge. 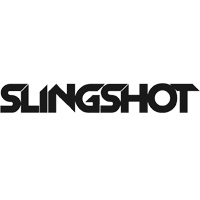 Slingshot's signature sliding track system lets you adjust the position of the foil to fine-tune performance depending on rider ability and preference and the conditions. Thinner, lighter version of Dwarf Craft 3'6"